It’s been an interesting few time for former Britpop stars over recent times. There’s been Damon Albarn and his many projects, we’ve enjoyed the two groups that Oasis split into, we’ve finally had Dodgy’s recent and excellent comeback album, and now another legendary figure from the mid 90s is returning in a slightly different guise. This is the debut solo album from Ocean Colour Scene’s Simon Fowler, although it isn’t quite a solo album since Fowler is accompanied by his band Merrymouth. I suppose it’s a bit like what the High Flying Birds are to Noel Gallagher, except the band occasionally do step into the spotlight. The opening ‘Holy Day’ sets the tone nicely against a calming backdrop of acoustic guitar and reverberating harmonies and although ‘The Trees They Do Grow High’ is based on an ancient folk song, there is no mistaking the unique inprint Fowler’s voice and style brings to the track. And although there isn’t an electric guitar in sight, the vitality of the melodies make up for the lack of the usual full band instrumention. The wonderfully tender ‘Sweetest Words’ is a classic Fowler ballad that stands as one of the finest moments he’s ever put to record, topped off with a simple and instantly memorable chorus. The stunning waltz of ‘Last Train But One’ is another highlight, bearing the same sort of stripped back mystery that characterised a lot of the classic OCS B sides of the ‘Moseley Shoals’ era. It’s also at this point that we’re reminded what an incredible vocalist Mr Fowler is. With its piano and banjo stylings, the Bert Jansch cover ‘Courting Blues’ is very spacious indeed, and could perhaps take a few listens for it to become as memorable as the first four tracks. As the lyrics in the final verse suggest, it’s like the soundtrack to waking up from a deep slumber. ‘Midst Of Summertime’ is recognisably more upbeat and sees band member Dan Sealey (also the current bassist in OCS) provide the vocals but the melody seems to have Fowler’s characteristics all over it, despite being penned by Sealey. The brooding ‘Prometheus’ is another textbook example of quality songwriting, and like much of the record comes complete with a fantastic arrangement. It’s one of those moments here that sound like Ocean Colour Scene songs with an acoustic folk dressing rather than folk songs written by their singer. But that’s where ‘The Stolen Child’ is different, since it could easily have been written many years ago as a traditional folk song. ‘The Shadow Knows’ and ‘Over My Head’ are also some of his best works yet, so delicately beautiful that you wonder if Fowler’s been saving up his best songs for this solo outing rather than using them on OCS albums. ‘Mr Marshall’ arrives with an utterly charming flute and guitar arrangement as Fowler and Sealey share vocal duties, while the closing ‘First Rites Of Spring’ ends the album in an alluringly subtle fashion, delivering a short, heartfelt parting gesture that closes this lovely album, and despite it’s brief length makes it sound satisfyingly complete. While bandmate Steve Cradock’s solo work sticks to retro rock with psychedelic hints, Ocean Colour Scene’s vocalist has found himself an excellent alternative. Of course it’s never going to be a million miles from OCS, but when the songs reach the same heights as their best work, that can only be a good thing. If you’re looking for ‘Hundred Mile High City’ or ‘Riverboat Song’-style riff-o-rama then you may wish to look elsewhere than this album, but there is no doubting the quality and sincerity that characterise many songs from Fowler’s new offering. 8. 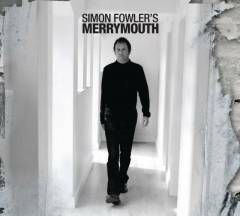 Today the excellent Ocean Colour Scene vocalist and songwriter Simon Fowler releases his debut solo album. The album entitled ‘Merrymouth’ also features award winning folk musicians John McCusker and Andy Cutting. Whist Ocean Colour Scene take most of the 2012 off to concentrate on writing material for a new album Simon Fowler has taken the opportunity to release his long awaited folk album. The recording of the album was funded by fans via the innovative PledgeMusic site. Simon and his band Dan Sealey, Mike McNamara and Adam Barry will be doing a handful of dates in April to support the album which was released as a Download to PledgeMusic supporters on 25th March, a day before the album went on sale elsewhere today. After the Merrymouth gigs Simon plans to spend the next few months doing acoustic gigs / festivals with Oscar (http://www.oceancolourscene.com/news_story/664) and he will also be taking time out to concentrate on writing new songs for the Ocean Colour Scene album due out early 2013. As yet, physical copies are not yet in the shops, but information will follow soon….